In 1957, and barely 23 years old, Fisher Tull (known as Mickey to his friends), came to Sam Houston State University where he became a beloved professor, mentor, and colleague to many. From 1965 to 1982 he served as Chairman of our music department and was instrumental in creating an award winning school of music. In 1984 he was named a Piper Professor, a title that carried a prestigious award for excellence in teaching. 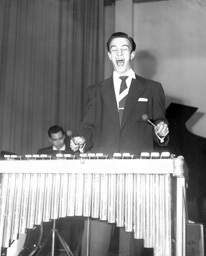 In the same year, he was promoted to the rank of Distinguished Professor of Music. His accomplishments reached far beyond his importance as a composer, to include his exceptional teaching, his receptive temperament, his creative genius, and his constant desire to see his students succeed. 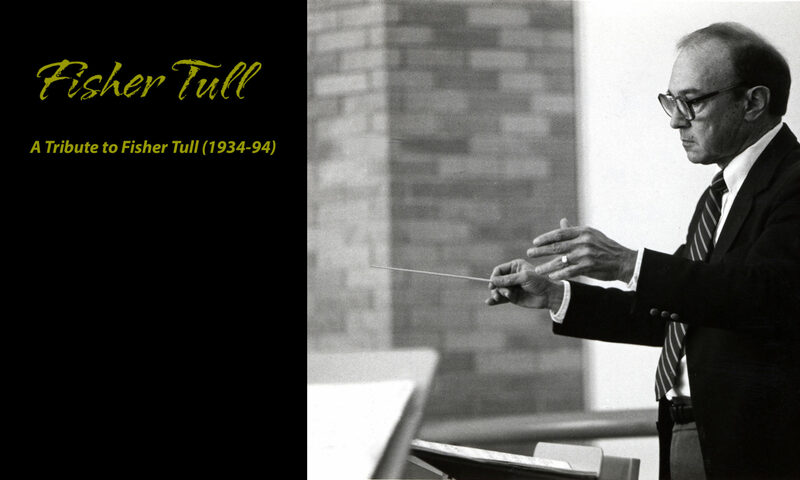 Fisher Tull received awards in composition from the Texas Composers Guild, American Society of Composers, Authors and Publishers (ASCAP), National Flute Association, Willamette Arts Festival, the Friends of Harvey Gaul, the Ostwald Award from the University of Maryland, Artists Advisory Council of the Chicago Symphony Orchestra, and the Arthur Fraser Memorial. He was granted the Distinguished Men of Music medal by Kappa Kappa Psi, and was awarded the Orpheus Award by Phi Mu Alpha Sinfonia. In 1993 he was named a Distinguished Alumnus by the UNT College of Music, and a scholarship is awarded every year in his name to a student in the SHSU School of Music.